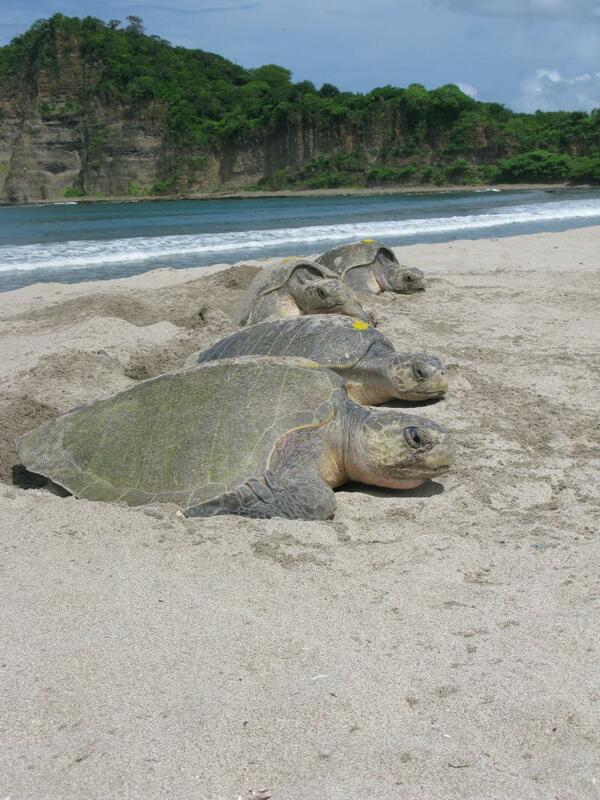 KCLU’s Debra Greene reports on an innovative technological solution created by a wildlife conservation group on the South Coast that's fighting illegal poaching of sea turtle eggs. Sea turtles are threatened with extinction. One of the biggest threats to their survival is illegal poaching of their eggs in Latin America. But, an innovative technological solution created by a wildlife conservation group on the South Coast is fighting illegal poaching of sea turtle eggs. It has been nicknamed the InvestEGGator. It’s a decoy sea turtle egg -- about the size of a ping pong ball -- that has a GPS inside to track down poachers. “I had the idea that if I could sneak a GPS tracker of some sort into a nest of sea turtle eggs, and they picked it up and they didn’t realize it, we would be able to find out where poachers and middlemen take the eggs,” says Kim Williams-Guillen, a conservation scientist with Ventura-based nonprofit Paso Pacifico who developed these artificial sea turtle eggs that are textured and squishy so that they look and feel just like real ones. “We make the fake sea turtle egg by 3D printing it with a very flexible kind of plastic. We add some silicon on the inside. We seal that up. We sand it and we paint it,” she says. It’s time to connect the GPS and SIM card inside the egg to a smartphone so it can be tracked through an app on that device. This is done by text message. “So, now the egg is communicating with my phone,” says Felipe Farme D’Amoed, Director of Conservation Technology at Paso Pacifico. He is demonstrating how it works, which involves digging a hole in dirt. “This would all actually be made by the turtle,” Farme D'Amoed says. He says the decoy egg is dropped in the hole among the real eggs. The turtle covers the hole and later poachers scoop up the eggs – about 100 of them -- including the fake egg. So, to further demonstrate, someone takes the decoy egg and walks away as the app tracks the path. “You can see right there where the egg is traveling down that roadway there and into the parking lot,” says Paso Pacifico Executive Director Sarah Otterstrom. She says these InvestEGGator decoy eggs may be the solution to ending illegal poaching, which is a leading cause of sea turtles becoming critically endangered. Law enforcement can use the data collected from the fake eggs to identify major transit routes and cripple the illegal egg trade. “The incredible part of this egg is how it can be so cryptic and hidden among hundreds of real sea turtle eggs, and really the only way that we can figure out what happens from the time that sea turtle eggs illegally leave the beach to the time they get to consumers throughout the world,” Otterstrom says. She says poachers destroy more than 90% of sea turtle nests on many Central American beaches because the eggs are in high demand. “People poach sea turtle eggs in order to trade them and take them to restaurants and bars where they’re consumed as a delicacy,” Otterstrom says. 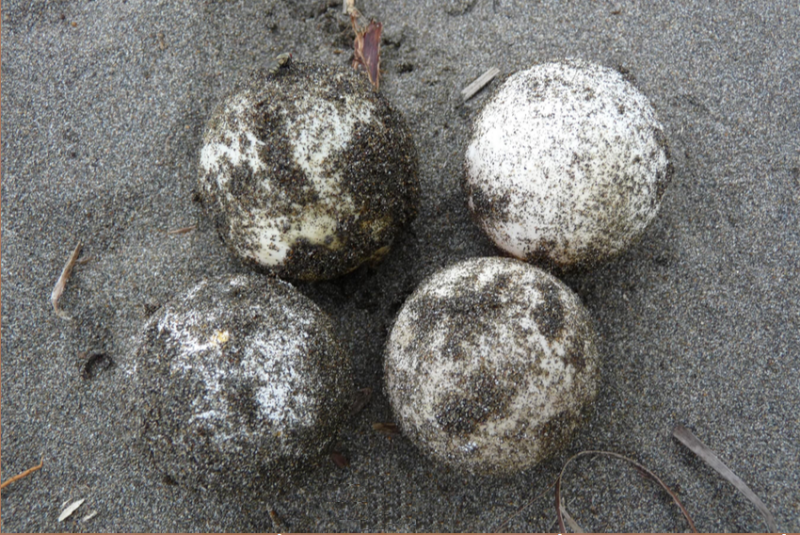 The artificial eggs have been successfully tested in beaches off Costa Rica by Helen Pheasy, a PhD candidate from the University of Kent in the United Kingdom who’s studying biodiversity management. “We found that the eggs work. They move. We’ve got tracking data on that. It’s helped get patterns in poacher behavior. And, they don’t do any harm to the nests if they don’t get poached,” she says. The decoy eggs have largely been created in Williams-Guillen’s bedroom. But now, Paso Pacifico is moving towards industrial scale production, which brings the nonprofit to TruPart Manufacturing in Ventura. CEO Shane Prukop says his commercial 3D printer is creating prototypes. “I believe we are really close on a complete model that’s ready to mass produce out of a 3D printer,” he says. Otterstrom says the hope is that the cost will be reduced so that these decoy eggs become more accessible for other conservation groups. “It’s really exciting to think that here in Ventura County, we’re serving as a center of innovation and technology to protect and save wildlife around the world,” she says.